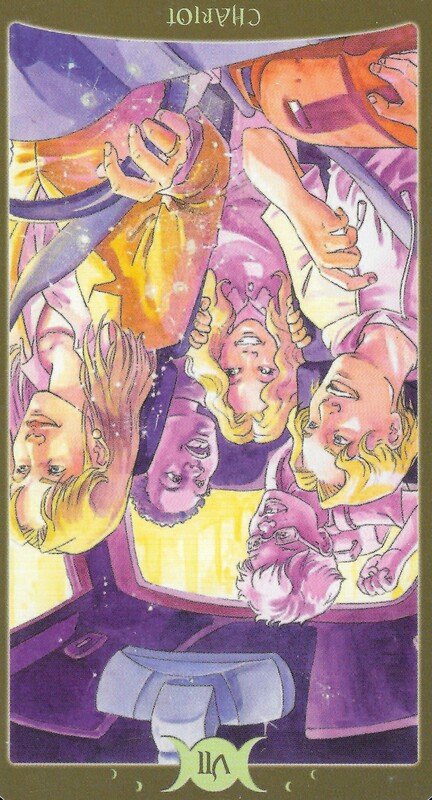 it’s the 13th week of the year and the card of the week is the 9 of Cups. In numerology, 1+3 = 4 which is a number of stability. 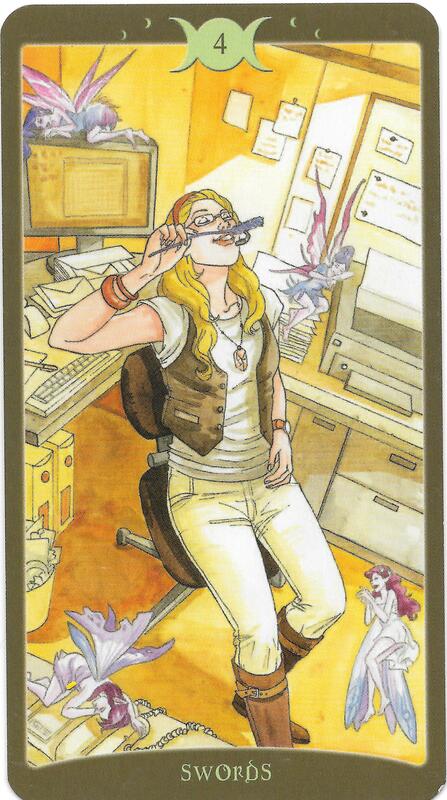 As for the 9 of Cups, it is literally the luckiest card in the deck. 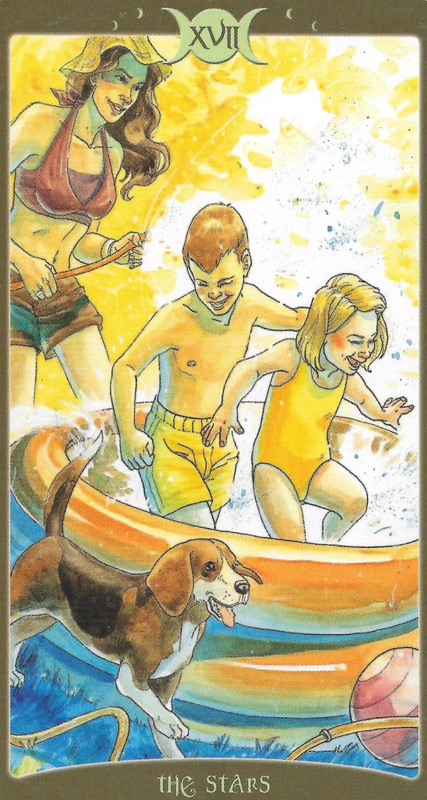 It’s known as the wish card and when it is drawn, wishes are fulfilled. But the granting of these wishes does not come without initiation into the secrets of manifestation. You will be faced with some difficult situations, mostly involving matters of the mind . The best advice to get the most out of this week: pace yourself and take things slow. It’s not a good time to try to cram everything you can into your schedule. Instead, it’s a time that calls for more rest in order to process all the changes happening. Once you slow down, you’ll be able to see what you’re looking for. The Star is a card of hope and renewal: perfect for the Ostara season. 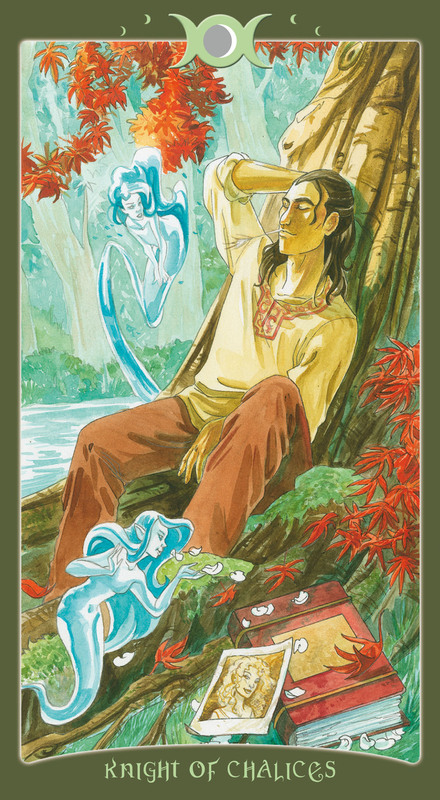 This is a card of transformation and self discovery. The only transit for the day is Moon trine Venus, a transit that brings expansion through love, happiness and harmony. Gatherings today will be pleasant and joyful. Beware of indulgence. The Moon is void of course for most of the day so it’s a good time to tie up lose ends and enjoy whatever comes your way. The number of the day is 3 a number of things coming together. Mantra: I allow love to transform me. The Chariot reversed appears when life is spinnning out of control. You want to rely on your intuition but things are moving so fast you can’t get your bearings straight. Some people respond to tailspins with frustration and aggression. This may be seen with Moon conjunct Mars at 1:12 PM PST. People will do anything to get their way, even if it doesn’t seem like it will work out. The struggle may bring irritability and aggression. But when controlled, the energy of this transit can lead to new discoveries about leadership and bravery. Moon trine Sun at 5:11 PM PST will bring happiness, harmony and flow to all social interactions. Moon square Neptune at 8:50 PM PST may find your sense of reality being challenged by deceptive forces. If your intuition is off, ground and process the information. The Moon is in the energetic sign of Sagittarius today,, bringing restlessness and spontaneity. Moon in Sagittarius is about movement, so accept the direction you’re moving in and see it as an adventure. The number of the day is 4, reminding us that stability can be found in times of chaos and confusion. Mantra: I’ll go wherever I end up. 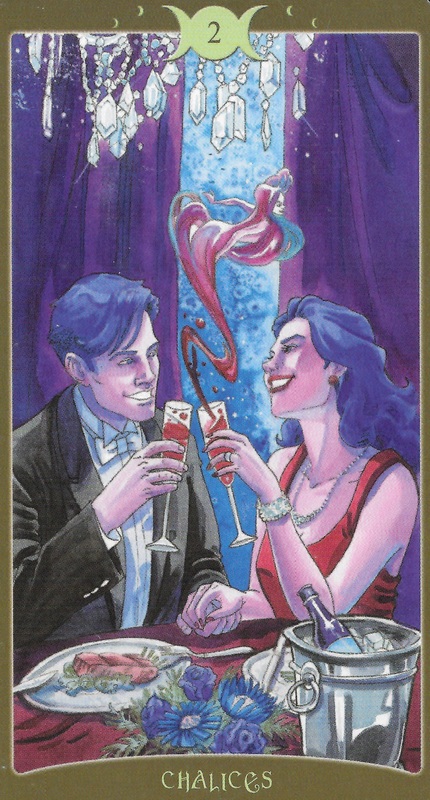 The card of the day is the Two of Cups, a card of partnerships. These partnerships could be romances, friendships or business partnerships but one thing is for sure, today is a day to come together and unite with others. Moon trine Mercury at 5:46 AM PST brings good communication to the morning. Moon square Jupiter at 6:55 AM PST may bring out egos so make sure to check yourself. Moon conjunt Saturn at 8:18 AM PST could leave you feeling lonely and isolated so try to reach out to others if you’re feeling down. Moon trine Neptune will bring heightened sensitivity and intuition. You will be able to come together with others to dream up new ideas that with hard work, could be brought into reality. Moon trine Uranus will bring excitement to enhance these dreams and motivate people to work on new projects and ideas with enthusiasm. Moon square Venus may bring jealously and possessiveness. Resist the urge to indulge to coupe with your feelings and instead, pour love into them. Moon Mercury trine Saturn at 8:02 PM PST will bring deep concentration and the ability to get organized in the name of getting things done. The Moon is still in Sagittarius, bringing innovation and energy to the day. The number of the day is 5, a number of overcoming obstacles. 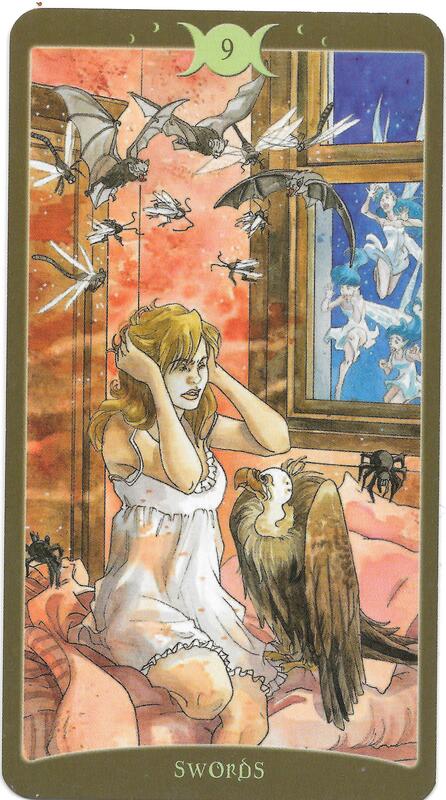 The Three of Swords reversed is a card that appears when the pain of heartbreak begins to vanish. Your growth has been blocked by the feelings you’ve been carrying and that heaviness lifting. Since yesterdays was all about partnerships, this change could be a result of the connections you made with others. The only aspect for the day is Mercury square Pluto at 7:52 AM PST. This transit brings the potential to go within and find out what you need to change about yourself at the very core of your being. And through this exploration of the depths of your soul, you will find the healing you need to overcome the pain. Where Monday was a day about losing control, today is a day to regain that control by discovering more about the power that lies within you. However, if don’t use this transit to your advantage, it could express itself as obsession that leads to quarrels. The Moon is void of course until it enters Capricorn at 10:45 AM PST where it will stay for the rest of the day. Capricorn is the sign of the teacher so listen to the lessons that the sea goat has to teach today. The number of the day is 6, a number of victory. Mantra: I remove the anchor in my heart and set my sails toward the future. 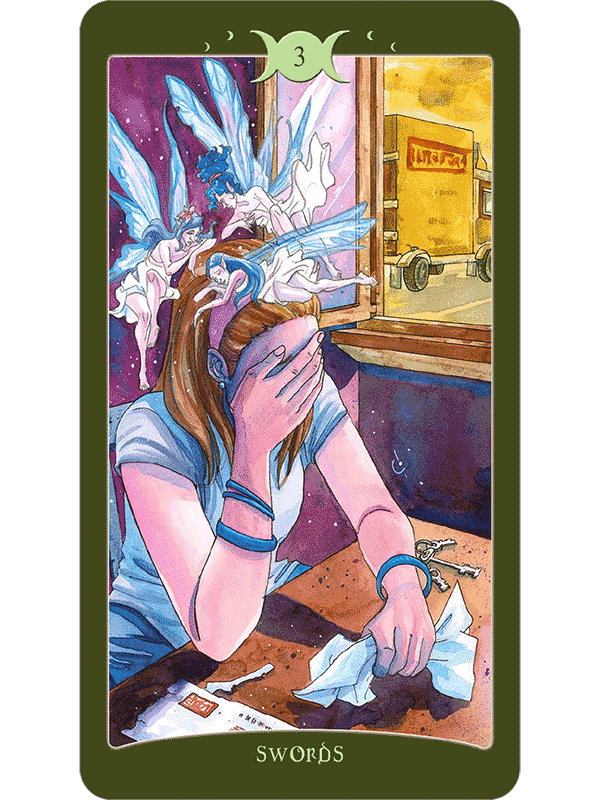 The 9 of Swords is a card that appears when worries cycle in your head like a tornado of confusion. This week has held so much potential from presenting opportunities to reclaim your personal power, to making new connections and to overcome blockages. Everything feels like a whirlwind but know that there’s no need to worry. This is all happening to bring a future brighter than anything you can imagine. Moon sextile Neptune at 7:00 AM PST brings illusions and daydreaming. Don’t let those dreams become nightmares. Moon square Sun brings the Last Quarter at 8:17 AM PST. It’s a time when the truth is illuminated. Don’t panic, this is a time prone to personal crisis and it’s meant to help you see what intentions you need to set for the coming New Moon. Mercury conjunct Uranus at 1:49 PM PST will speed up your thoughts and your actions. It may be hard to focus on anything at all. Be careful and aware because this distracting transit can lead to accidents. Moon trine Jupiter will bring things back around and give you the opportunity to shake your anxieties. Physical activity can help you get your focus back. By night fall with Moon conjunct Pluto at 7:37 PM PST could leave you feeling absolutely exhausted from all the events of the day. Take some time to meditate and if you’re tired, head to bed early because rest and recovery are important when the mind, body and spirit have been pushed into periods of intense growth. There is nothing wrong with taking things at your own pace in times like these. The moon is still in the sign of the strict teacher, Capricorn. You’ve done a good job and you will be rewarded by the vibration of the number, 7, which gives us the opportunity to move forward. The 4 of Swords traditionally features a knight’s tomb. It is quiet and calm. There are no threats. It is a time for the quiet, tranquil rest that brings healing. As I said at the end of yesterday’s forecast it is very important that you rest now. Be nice to yourself, you’ve been through a lot and it’s OK to take a breather. Moon square Uranus at 12:20 AM PST will bring restlessness. It is April Fool’s Day after all and the Fool is all about spontaneity but also foolish actions. You may want to jump into something new and exciting but have you let all that you’ve learned this week process? Take time today to do something radical that many people don’t do if you want to be bold: be thankful for everything that you have. Moon square Mercury at 2:13 PM PST may make it difficult to communicate with others, so instead, be grounded and present in the here and now. Moon sextile Venus will bring good relationships with others. You will feel warmth and happiness. Give into the urge to pamper yourself and treat yourself to something special. You deserve it. The Moon is in the revolutionary sign of Aquarius today, reminding us that revolutionizing yourself and the world starts within. The number of the day is 5, a number of overcoming obstacles. The Moon is in Aquarius and the Knight of Cups, like Aquarius, is a water bearer. The water ruled Knight and the air ruled Aquarius bring a balance between the head and the heart today. It may feel like everything is overflowing with love because of this comb. Moon sextile Mars at 8:14 AM PST brings energetic leadership and strength to situations that need attention this morning. Moon sextile Sun at 6:58 PM PST brings happiness, harmony and flow to everything you do. Moon sextile Saturn at 11:28 PM PST will help you control any intense emotions that flowed out of you today. Whatever this emotional release was needed to happen and it’s OK to cry, whether they be tears of joy, happiness or anger. Allow yourself to feel; you won’t drown. The number of the day is 6, a number of victory. Mantra: I give myself permission to accept and embrace my feelings. This entry was posted in Astrology, mysticism, numerology, occult, self help, spirituality, Tarot, Uncategorized, witchy, Writing and tagged astrology, divination, inspirational, motivational, mysticism, numerology, occult, pagan, predictions, self help, tarot, wicca, witchy. Bookmark the permalink.